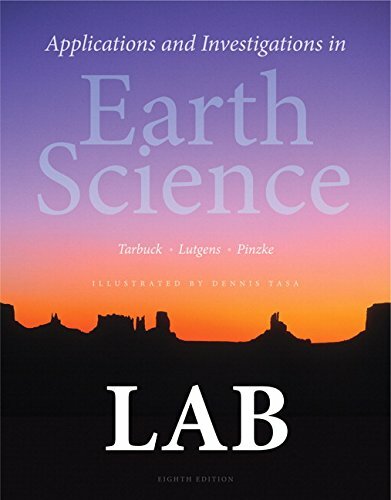 321934520 -Designed to accompany Tarbuck and Lutgen’s Earth Science and Foundations of Earth Science , this manual can be used for any Earth Science lab course, in conjunction with any text. The Eighth Edition minimizes the need for faculty instruction in the lab, freeing instructors to interact directly with students. Widely praised for its concise coverage and dynamic illustrations by Dennis Tasa, the text contains twenty-three step-by-step exercises that reinforce major topics in geology, oceanography, meteorology, and astronomy.